Greaud's works frequently have multiple incarnations, projects become re-assessed and developed into a complex weave. 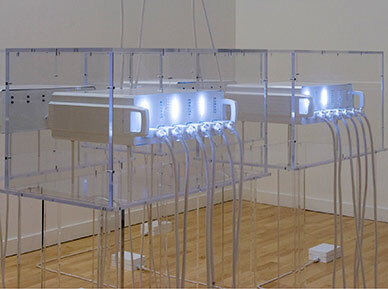 He is best known for his ongoing project 'Cellar Door', which has been displayed internationally, existing as an opera, installation, architectural project, and even brand of 'taseless sweets', the project creates a deja vu like scenario as the viewer attempts to resolve the situation. For Greauds 2009 installation at the Tate Triannale curated by Nicolas Bourriaud he conducted a neurological experiment to record his own brain activity for thirty minutes whilst in deep thought about the Cellar Door international project. 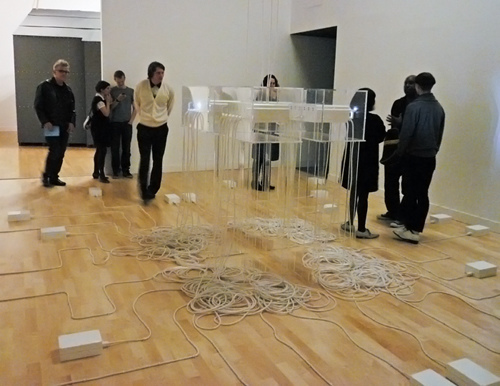 The recorded brain waves were then converted into electrical frequencies which were then transmitted to a series of boxes attached to the gallery floor. 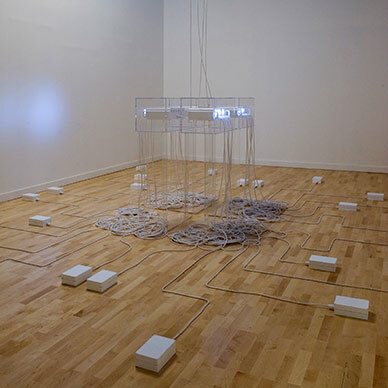 Arranged in a symmetrical pattern similar to the layout of the cortexes of the brain Greauds cerebral wanderings became physical as the pulsating boxes emitted a drone like frequency.